We have heard of the emperors and kings roaming around in disguise on the streets of their kingdoms in olden days. They used to do this to know more about the status of living of their citizens. The Norwegian Prime Minister Jens Stoltenberg did this. He went as a taxi driver for a day, picking passengers from point to point. No one could recognize him. ‘If it is one place where people say what they really mean – it is only in taxi’- he says. Even some passengers commented that he was a bad driver. Norway is heading for elections in September. The Prime Minister tried to know the first hand feedback from the public as a taxi driver. Watch Out – Who knows? The Indian Prime Minister may hear from you soon in a disguised avatar? Possible? If so, on what Avatar? 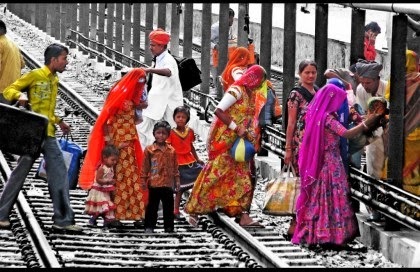 Rural to Urban Shift - Can India Adopt this Recipe for Prosperity? Many Indian leaders talk of getting 80% of Indians into cities! Is it Possible? The shift from agriculture to urban industry and manufacturing is how Europe, the US and more recently China enhanced their productivity and created Capital for broader investments to modernize their economies. But we cannot Xerox the European or Chinese Model into India. Why? We have 52% GDP coming from Services, 28% manufacturing, 20% by agriculture. 20% of GDP is coming from 80% of the rural Population in India. The manufacturing sector of India was giving 25% of GDP in 1989, today at 28% only - abysmal growth there. In spite of high GDP growth in India, the jobs at manufacturing sector were only shrinking. Only fewer jobs are available for manufacturing sector in India. The so called informal sector in urban areas could only take contract labor or the jobs to people of a scavenger and such low end jobs to people from rural areas. One cannot make a permanent shift based in these jobs of an unsustainable nature. The construction boom can give temporary shelter, but it is not permanent. The so called job guarantee subsidy for rural folk is not enforcing them; they are only creating an unproductive vote bank. Do not give charity but empower them, that is the need of the hour. We have to teach the rural folk How to Fish? And not donate the fish as the dish for the day! We have to admit this - We need to empower the rural folk; develop the rural areas with their core agriculture strength – More productive & diverse agriculture are the keys - not the shifting from rural to urban – Any take? Web Balloons run on Solar Power? 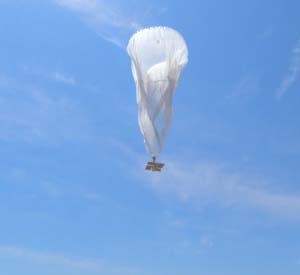 Google X, the secret arm of the company that runs projects such as Robot cars has initiated two new path breaking disruptive tech projects – Fiber & Loon. “Loon” involves creating an airborne wireless network using 12 meter tall air balloons, powered by the Solar Energy. They will run on batteries at night. Such web balloons were launched for test over New Zealand. They will deliver 3G- Like wireless speeds to ground antennas that in turn will transmit signal to wireless devices. The speed will be ten times faster. Google “Fiber”, is a high speed Cable TV and internet service that was tested in Kansas City last year. It will deliver internet speed 100 times faster than average Network. Recently Google has announced plans to bring free wireless internet access to 7000 Starbucks cafes across America. These Solar Powered web balloons and free offer of Wi-Fi in parks may challenge the telecom & cable companies. Disruptive Technology – Live for You ……. 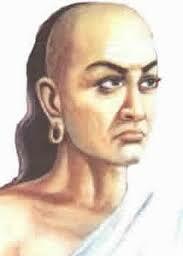 – Why Chanakya says this? 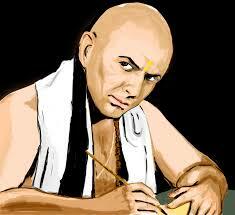 The pearls of wisdom from Chanakya are given here as a Quick Capsule. “Before you start some work, always ask yourself three questions - Why am I doing it, What the results might be and Will I be successful? Only when you think deeply and find satisfactory answers to these questions, go ahead. Where is Indian Rupee Going? Our nation’s Prime Minister heads India Cricket Team. He was asked what he will like – To bat or to bowl. He said “None”. But he said he liked the process of the “Toss”. He was asked - why? He said this is the only time the rupee (the coin) will go up. This is a joke. But there is a reality as well. Does the rupee face a bottomless pit? Where will it go? Why? All of you should note that Rupee started at 1 Rs = 1 USD in 1947. Today it is nearing 1USD = Rs.70 – Why? The rate for a currency is determined by the demand and supply, the rate of inflation in a country and so on. Why India’s currency went up briefly in the period 2003-2005, stabilized during the phase 2003-2011 and why suddenly falling drastically. In the 1970’s, the Fed Governor (Equivalent of RBI Governor) of USA said, ‘It is our currency (US Dollar) and your problem’, when he was asked about the newly printed US Dollar spreading to other parts of the world. Since 2008, to get out of sub prime/property driven economic crisis, USA started pumping money by buying bonds every month – today at 85 Billion USD per month. According to Keynes, the greatest recession economy specialist, an injection of 1 USD printed note can create 3.50 USD in the market. He was justifying deficit financing for the world war shattered economies. These days we prefer deficit financing for escalating the animal sprits of consumerism – the aggregate consumer demand is the GDP – we are measuring GDP in terms of consumerism. Here is this story from USA. One of the rich tourists walks into a tourist island in USA. The whole country was in recession, there was gloomy outlook, the town was deserted. The tourist went to a hotel. He deposited USD 100 note at the counter. He said he will go up to the fourth floor room and see, if he likes it, he will take it. If he does not like he will go back. He went upstairs. During this time the hotel manager used the currency of 100 USD for paying the meat supplier. The meat supplier in turn used this 100 USD to pay his dues to energy supplier. The energy supplier in turn used this 100 USD note to pay back his dues to the Hotel for the rent he owed. Now hotel owner got back the same 100 USD. Meanwhile the tourist came back to the cashier and said he did not like the room, got back his 100 USD note and walked out. Nothing changed – but this 100 USD note discharged the debts of three stakeholders and everyone’s credit limit got restored. Everyone was happy. The nations confused between motional progresses. When they printed money and pumped into the market, (even today @ 85 billion USD/month) the market was flooded with currency, the people’s pockets were filled with money to bail them out. When this money circulation was more, USD started looking for higher returns outside. The excess money printed, instead of just creating jobs in USA market, flowed out to emerging markets like India. This created an illusion of affordability to Indians on various foreign luxury goods. The US Dollar started flowing into India chasing – stocks, bonds, properties and Indian currencies. Our prices started going up. We were living in the illusory world (The Maya) of rising property prices, strong Rupee and we thought we were growing – but we were only moving not progressing. Since USA is showing signs of recovery, their domestic money pumping tap getting closed, the US Dollar already came to emerging markets started a reverse flow. The result – Carnage in the currency market of emerging markets. India leading the pack with 20% drop (since 2013 beginning), Brazil 15%, Indonesia 12%-13% , Philippines 7%-8%, Vietnam by 10% and so on. India led the pack – why was it severe on India? Some currencies like that of small countries South Korea & Taiwan – appreciated, why? Are we so bad? That brings us to this Balance of Trade. The difference between trade export & import is the trade surplus/deficit. South Korea, China, Taiwan are all trade surplus countries. In spite of good software exports we have a trade deficit of nearly 120 billion USD. It was as high as 6% of GDP last year. Up to 2% of GDP is reasonable – we are a 1.80 Trillion USD economy. 2% 1800 Billion USD is about 36 to 40 Billion USD. Still 70 to 80 Billion USD is an excess trade deficit. Our deficits are high since energy (Oil) & Gold constitutes the major source. India has sentimental value attached to gold. We import 900 tones every year, the largest in the world. Also post 1991, in the name of reforms. We preferred foreign goods. Owning a foreign good is considered as a status. On the cheap goods front, China destroyed our manufacturing sector. The share of manufacturing sector on GDP declined heavily. 80% of populations (Rural Towns/Villages) give 20% of GDP while 20% populations (Cities) give 80% of GDP (Service sector). By skipping manufacturing, we migrated to service sector, preferring foreign manufactured goods. Net result – imports increased – or foreign owned goods were manufactured in India. Oil price crossed 110 USD per barrel, gold going up, free flow of imports caused huge Trade deficits on India. How did we finance these deficits – through short term Forex sources – hot money. This financing of trade deficits with hot money create havoc when the foreign money is withdraw from India – Result: Nose diving Rupee. Government policy paralysis has killed the confidence of foreigners on India. We created retrospective tax amendments on foreign investment two years back. Many FDI projects have pulled off from India. There are many goof ups on FDI policy. Like opening up retail to foreign companies, many goof ups have happened. FDI’s are supposed to be welcome on area where we have no expertise. Take for example real estate sector FDI. Capital the in real estate industry during the year 2005-2012, with major inflows coming in the Year 2007-09. Close to $US 20 billion of inflow came to into real estate & construction business, which has put the prices on steroids. However, with the average life of private equity fund being around 7-8 years, the Year 2013 marks the beginning of private equity returning back to shores. The imperative is to see down inventory and return the capital back to investors. During our discussion with RE industry veterans it emerged that most of Real Estate funds have been deployed at an average $/Re parity of 45 while the exit after seven years is likely to happen at more than $/Re 60 , a loss of around 30% in current itself. The current situation indicates losses for the fund shareholder at various ends like depreciation of rupee with conversion of Forex, slow down of sales in residential projects, steep losses in commercial development ventures and impediments in exits of projects to others. The exit of private equity, a fair weather friend of developer, is going to create distress sale situation in real estate industry, shortly. This would lead to further depressing of the Indian Rupee. As we near elections, we have populist schemes – Food Security Bill, the latest-instead of creating Jobs, we start feeding pulses and grains. The Onions and vegetables are not affordable, we offer Rice/Wheat at Rs.2 & Rs.3 per Kilo. We have a new situation – low growth, High inflation, High deficits – perfect recipe for a bad economy. Who will bet on India now? We need empowerment and not charity. The populist schemes should create a sustainable living for people than making them as a beggar and a Loyal Vote Bank. Can we not do a SWOT (Strength, Weakness, Opportunity & Threat) Analysis of each village and enable each village to make a living out of their strengths? Can the district collectors facilitate the realization of strength of each village by the village councils? It is empowerment. But we are far away from this. These populist schemes have promoted rating agencies to caution on India. Result – the investors are fleeing from India. We may reach 70-75 Rupees levels. In the short term, we have to accept low/moderate growth rates, cut down our illusory ambitions, learn to accept Indian products. The RBI and government continue to fight the rupee with various measures such as sovereign wealth funds (SWFs) would be allowed to invest in tax-free bonds floated by state-run infrastructure finance companies, public sector oil companies would be permitted to raise addition funds through external commercial borrowings (ECBs) and trade finance. The RBI has also liberalized deposit schemes for non-resident Indians, lowered over seas remittance by locals to $ 75000 a year from $ 200000 and prohibited investment in various overseas properties by resident Indians. Structural reforms which may be politically difficult to achieve – such as fuel subsidy reforms – are being under taken, and these should help to shore up public finances over the medium-term, potentially supporting domestic savings and, ultimately reducing external deficits. The rating Agency S&P has cited that recent measures announced by the government to restrict capital outflow have also increased uncertainties among investors. It has also cited that high fiscal deficits and a heavy government debt burden remain the most significant constraints on sovereign rating on India. According to Moody’s, flows are unlikely to accelerate unless growth outlook improves and Fiscal policy is the weakest aspect of Indian economy. Around 558 tonnes of gold is held by the RBI, making it the 11th largest official owner of gold in the world, according to data from the world Gold Council. Gold is also held by households and individuals, in their homes or bank vaults, and by Indian temples, which have historically received gold bars, coins and even jewelry as donations from patrons. Indians attach sentimental value to gold and not just for investment to hedge against inflation. India’s consumption this year is expected to be lower than last year’s 860 tonnes as the government is trying to curb imports and reduce its trade deficit. India hiked import duty on gold for a third time in August 2013 to 10 percent. In 2009 RBI purchased 200 tonnes of gold from the International Monetary Fund (IMF) at an estimated price of around $ 6.70 billion, under the IMF’s limited gold sales programme. With the widening or our current account deficit and falling rupee, options such as leasing of gold bought in 2009 from IMF or monetizing the gold lying with RBI may be looked into. Steps are on to monetize the domestically available gold in order to curb imports. Shed the populist schemes, consider empowerment than charity. Promote Indian manufacturing sector – Don’t dilute this sector giving excessive preference to service sector. The employment generation of manufacturing project is much higher than service sector projects. Monetize Gold, people should realize that gold is an unproductive investment – if it exceeds the basic levels. Shed unproductive Govt., expenditure, bring Fiscal deficits down. Power from their solar antennas and only 50% power on grid power. This will reduce energy imports. Solar subsidy is better than food subsidy! What is said of US Dollar’s is applicable to Euro, Sterling Pound and Japanese Yen. Few variations Japan has started printing their notes like US Dollar, even though they have national debt at 125% of their GDP. To shed a decade of recession, they started this theme of pumping more currency. Even this newly printed Yen came into other markets like USD and Rupee strengthened against Yen due to this for a while. The Europe/UK economies are still down, the Rupee depreciation against these was not as alarming at 20% level like that of US Dollar. Still we had depreciation of Rs. against these as well, since they are inter- linked with US Dollar. To sum up – Realize our true potential and play the game to our potential and deploy foreign funds for revenue generating assets and not use the foreign funds to finance our animal sprit driven luxuries. The FDI should be encouraged in sectors, where India lacks the expertise. Good Luck Rupee! See you shining soon!